Face the prepacked carefree with a decisive advantage! 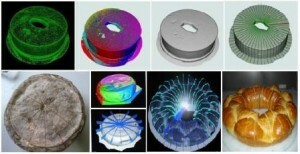 With a standard process, cuts are not driven by a vision system, and slices weights are relatively approximate. To compensate, an expensive overweight must be added to each portion to meet the distributors standards, which severely penalizes the manufacturer cost. 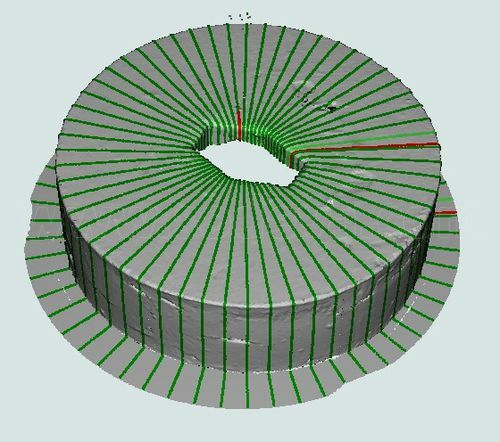 This excess can now be greatly reduced through the implementation of our high speed vision expert system: cutting at fixed weight through an accurate fast 3D volume rebuilding. 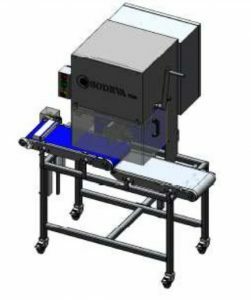 Distributors want prepacked portions at exact weight, all the same, always equal, that is what we call cuts at fixed weight or at constant weight. 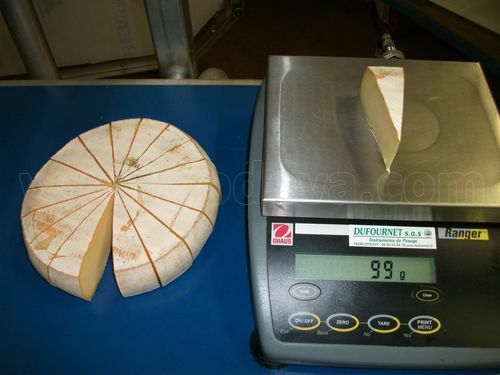 Each slice corresponds to a volume calculated with an accuracy to the gram (about 2 to 3 thousandths of a pounds) for either cheeses, pastries, patés or delis. 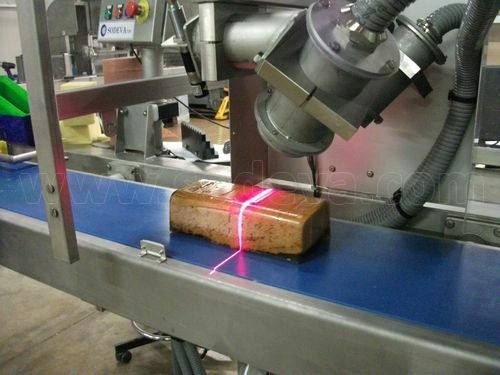 Our cameras scan and calculate in record time, products volume then shares, unlike laser beams systems which are extremely slow, and the PLC pilots the blades exactly where to shares will end up at the same weight. 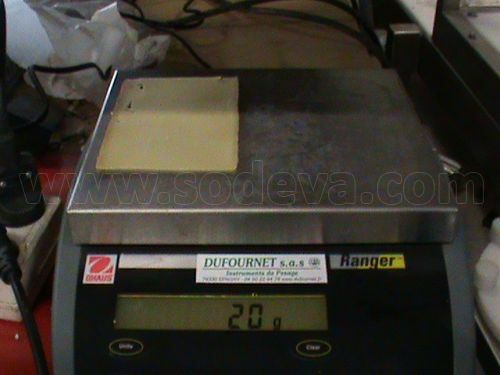 For instance, a 1616 grams (more than 3 ½ pounds) cheese is being cut into 4 shares of 405, 403, 403 and 405 grams. 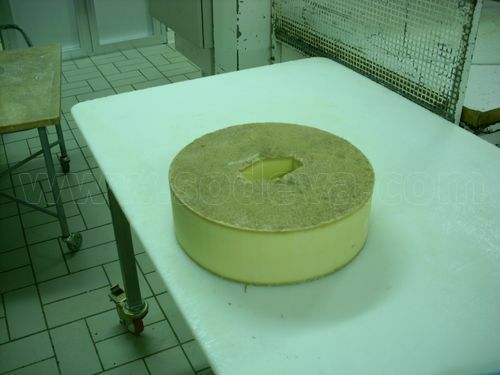 Each cheese is cut into 4 every 6 seconds as an industrial cycle, for one of our customers, Lactalis, one of the biggest cheese producer in the world. 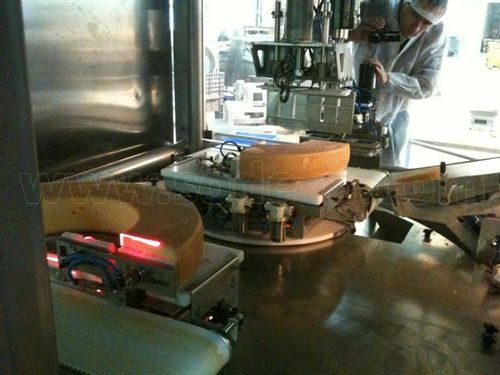 We are the only ones in the world to cut cheese wheels at that speed and that accuracy; with such a vision system the return on investment is very fast! 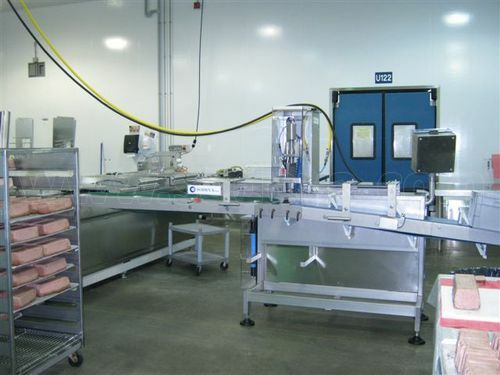 Curved shapes, caps, an corrugated baked tops are treated and rebuilt to the exact weight. Please do your own maths and calculate the number of slices and weight you may save per year. 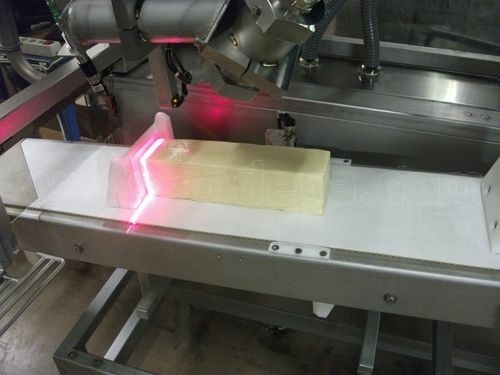 In addition, the versatility of the machine allow you to manage many different type and shape of products, from round cheese wheels, to long rectangular cakes.